While the unavailability of world No 19 Gavin Moynihan may have denied Ireland a third spot in the Great Britain and Ireland side for the St Andrews Trophy, the presence of Greystones' Paul Dunne and West Waterford's Gary Hurley was the least Irish golf could have expected from the R&A. Paul Dunne, front (second left) and Gary Hurley back row (second from right) with the Raymond Trophy at Southerndown last week. Winners of last week's Home Internationals and runners-up to Spain in the European Amateur Team Championships, it would not have been outrageous had the likes of Dermot McElroy, Jack Hume or Chris Selfridge received the nod for the clash with the Continent of Europe at Barsebäck in Sweden from August 29-30. 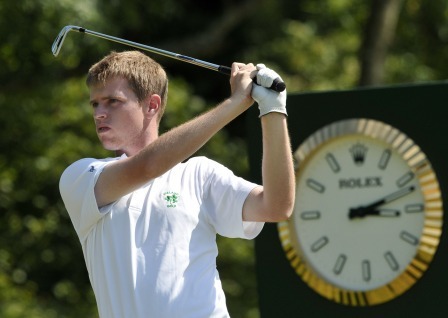 As for the Jacques Leglise Trophy, British Boys finalist Rowan Lester of Hermitage is the only Irish representative. Irish Amateur Open champion Jamie Savage is one of four Scots in the nine-strong St Andrews Trophy side that has lost the last two matches at Castelconturbia in Italy in 2010 and Portmarnock in 2012. "Scotland’s Graeme Robertson is the only survivor from that match but recent wins for Ashley Chesters in the European Amateur Championship, Bradley Neil in the Amateur Championship and Grant Forrest in the St Andrews Links Trophy will give GB&I, captained once again by Welshman Nigel Edwards, added confidence that they can regain the trophy. "GB&I will be looking to defend the Jacques Leglise Trophy after their 15-9 triumph in Wales last year. It was their 36th win overall compared to ten for the Continent of Europe. "Four members of that team will tee it up in Sweden this year: Scotland’s Ewen Ferguson, who will captain the side, and England’s Ashton Turner, Marco Penge and Bradley Moore. Ferguson is on form having reached the Semi-Finals in his defence of the trophy at last week’s Boys Amateur Championship at Prestwick and winning the Scottish Boys Open Stroke Play and Scottish Boys Match Play titles this season. 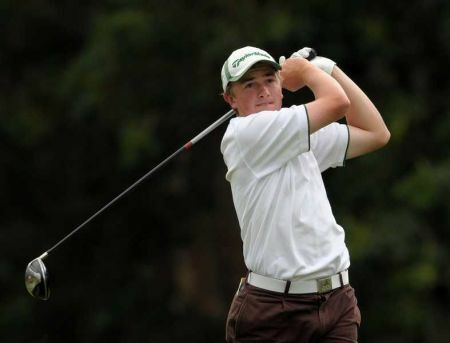 "Moore won the Irish Boys Amateur Open Championship in June while his compatriot Haydn McCullen won the Carris Trophy earlier this month and Ireland’s Rowan Lester lost out by one hole in the 36-hole Final of the Boys Amateur Championship. "The format for the St Andrews Trophy and Jacques Leglise Trophy matches will be four foursomes ties each morning and eight singles matches each afternoon on Friday 29 and Saturday 30 August 2014." The St Andrews Trophy is played biannually between Great Britain and Ireland and the Continent of Europe. It was first played in 1956 over the West Course at Wentworth when the European Golf Association accepted an invitation from The R&A to put forward a team. The GB&I team won the inaugural match and it was not until 1974 that the Continent of Europe won for the first time. The matches have been closely contested in recent years and the Continent of Europe has won the last two matches at Castelconturbia in Italy in 2010 and Portmarnock in 2012. The most recent GB&I victory came at Kingsbarns in Scotland in 2008. The GB&I team is selected by The R&A and the Continent of Europe side by the European Golf Association. The Jacques Leglise Trophy Match is played annually between boys representing Great Britain and Ireland and the Continent of Europe. It was inaugurated in 1977 when the late Jean-Louis Dupont donated a trophy in memory of Jacques Leglise, a past French champion and captain who had served as President of the French Golf Federation and of the European Golf Association. Initially played as a one-day match, it became a two-day match in 1996. GB&I dominated the early encounters losing only three times before 1995. The strength of European golf has improved dramatically and since then the Continent of Europe has won seven matches including the 2012 match at Portmarnock. The GB&I team is selected by The R&A and the Continent of Europe side by the European Golf Association. Gary Hurley and Paul Dunne and boy wonder Rowan Lester played a huge role as Great Britain and Ireland had double cause for celebration after winning both the St Andrews and Jacques Leglise trophies at Barsebäck in Sweden on Saturday. Greystones' Paul Dunne and West Waterford's Gary Hurley made a crucial contributions as honours ended even after the first day of the 2014 St Andrews Trophy at Barseback in Sweden, writes the R and A.
Phil says Rory can dominate like Tiger: "He's that good"